You are at:Home»Political»Vladimir Putin: KGB to President…for Life? Vladimir Putin: KGB to President…for Life? His resume holds a certain cachet in the West… As a former KGB agent he’s automatically associated with secrecy, intimidation, and the old fears Americans had of the Soviet Union for much of the 21st Century. Putin has said of himself that he lived for a long time as an ordinary person, and ordinary is all he wishes to be. For decades though, he has been anything but ordinary, as he has spent his life climbing the ranks of the Russian government, moving farther and farther away from his “ordinary” roots. He was born in St. Petersburg in 1952, in the midst of the Cold War. Putin had two older brothers, but both died during childhood, so Putin was raised essentially as an only child. He was an atheist as a child, but now is an Eastern Orthodox Christian. During Putin’s childhood, his mother stayed at home, and his father, a veteran of World War II, worked in a factory. As an interesting aside, his grandfather was a cook who worked for Vladimir Lenin and even prepared meals for Stalin a few times! It was in the midst of a competition that Putin began to set himself apart. Martial arts was his chosen sport – particularly Sambo and Judo. Though his mother did not initially approve of his participation in these sports, Putin proved himself to be a worthy and skilled competitor in both. At one point, his coach even showed up at the Putin home to speak with his mother about how much promise he showed. Well, that did the trick, and his parents began to support his athletic pursuits. Putin now holds a black belt in Judo, and has continued to compete in both Sambo and Judo, establishing himself as the first world leader to be at an advanced level in this sports. He also remains the President of the same Dojo he practiced in while growing up. Sobchak was an assistant professor at the school, but he actually went on to co-author the Constitution of the Russian Federation and was also the first democratically-elected mayor of St. Petersburg. Putin graduated from Saint Petersburg State University in 1975 and it was then that he joined the KGB. The KGB was the Soviet Union’s security agency for much of the twentieth century. It was created in 1954 and continued to operate until 1991 when the Soviet Union itself was dismantled. Translated to English, KGB stands for State Security Committee. It had a reputation for oppression and monitoring the actions and opinions of Soviet citizens. The KGB was a truly frightening organization for democracy, and an indication of the dangers of Communism to westerners. The organization quelled rebellions, and kept a close eye on anyone suspected to be in opposition to the Soviet regime. Putin started his career with the KGB in Leningrad, but later he was moved to Dresden, Germany. Before his transfer to Germany, Putin married. To this day he keeps his home life very private and information about his family is closely guarded. He and his wife Lyudmila were married from 1983 until their divorce in 2013. Their divorce was seemingly amicable, with no specific reason given for it, though Lyudmila made reference to Putin’s dedication to his work and the time investment required to serve as a world leader. Putin moved with his family to Dresden, where he served with the KGB for five years. He was fluent in German, and still speaks the language today, and has stated that he feels more comfortable using German than English. In 1989, the situation became more dicey for Soviets stationed in Dresden… During one incident, as it became more clear that East Germany was falling out of Soviet control, Putin and his colleagues feared for their lives as crowds stormed the KGB headquarters in Dresden. Putin called in the Soviet military for help, but was told nothing could be done to help them unless Moscow gave the order. Something Moscow never did. While Putin and his colleagues survived that day, it had become increasingly clear that the situation was unstable. During this time, Putin and other KGB agents began burning files so that when the day came and their headquarters was overtaken or abandoned, or both, no files would be left in the hands of their enemies. The Berlin Wall fell in November of 1989, and soon after Putin and his family returned to Russia. By this point Putin held the rank of Lieutenant Colonel in the KGB. However, the KGB was nearing the end of its existence, and Putin was able to find work at the State University of Saint Petersburg. He was no ordinary professor though… he was still working with the KGB. Part of his job included keeping an eye out for students who showed promise as potential new KGB recruits. Through this job, Putin was also able to reconnect with his former professor Anatoly Sobchak. Sobchak was elected the Mayor of St. Petersburg in 1991, and Putin joined his team as an adviser. He worked for Sobchak until 1996. When Sobchak lost re-election Putin could have opted to continue working for his successor, but Putin believed that taking a job with Sobchak’s political opponent would be disloyal, and he instead chose to move to Moscow to begin working with the Yeltsin Administration. Yeltsin decided he didn’t want to keep his current Prime Minister, so he got rid of him. That was in August of 1999 – Putin was the beneficiary of this decision as Yeltsin named Vladimir Putin to the post. Ten opponents ran against him for President, but he won, and for the first time in Russia’s history there was a peaceful transfer of power to a Democratically-elected President. 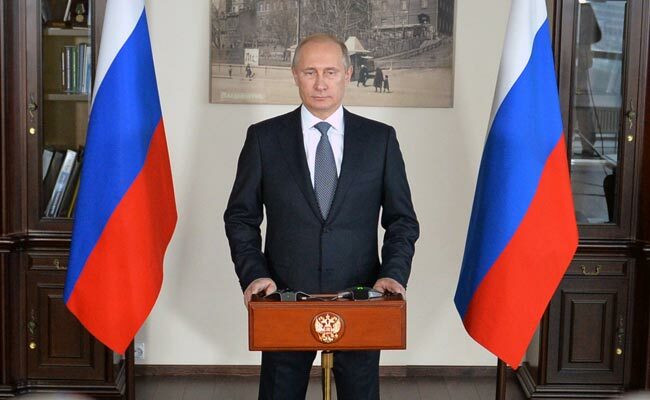 Putin used his first term to advocate for certain international policies, including approval of the START II arms treaty, and improving relations with China. Putin was also initially supportive of the United States’ War on Terror that followed the 9/11 terrorist attacks, but he did not support the United States’ invasion of Iraq. During Putin’s first summer in power, tragedy struck Russia when the Kursk Submarine sank in the Barents Sea in August. Putin was on vacation when the sinking occurred, and he did not immediately return home to address the sinking and the deaths of all 118 crew members who had been on board. Distraught and angry, Russians were attacking their President for his handling, or lack thereof, of the Kursk disaster, with some even accusing him of leaving sailors to die when a rescue might still be possible. Despite that, opinion polls showed that overall his image did not sustain much damage from the tragedy. Four years later, the Kursk tragedy did not affect his re-election. In 2004, the Russians re-elected Putin to a second term as their President. They were apparently pleased with the job he had been doing, as Putin received over 70% of the vote. During his first term in office, Putin had focused on economic reforms. Having denounced communism, he instead supported an economic system that was essentially capitalism with very strict regulations and oversight. After years of economic struggle, Russia was finally beginning to see a stabilizing and even growing economy under Putin. Some reports put Russia’s growth during his first term at 7% annually. He’s still remembered favorably for this growth, though it came with increased nationalization of industry and, in part because of the mid-2000’s global financial crash, the growth did not last. But in a country whose economy was in disarray for nearly the entire decade before Putin’s rise to power, an era of growth in which disposable income nearly doubled was reason for the people to think positively of Putin. Putin continued to work on economic policies in his first term, but also made strides in foreign relations, including making a historic trip to Israel. This trip was the first by a Russian leader to the country. Conversations between Putin and Israeli leaders focused largely on security issues. The trip garnered much attention around the world, as it came in the midst of strengthening ties between Russia and Israel, though the two nations disagreed on topics such as the Russian sale of missiles to Syria. The trip was also seen as a move by Putin to help secure Russia’s position as a key diplomatic actor in any Mideast peace discussions or agreements. In September, terrorists held over 1,000 people hostage at the Beslan School in North Ossetia. Nearly 800 of these hostages were children. For three days, the terrorists, demanding Chechnyan independence from Russia, held these people hostage. The situation ended tragically when tanks, rockets, and other artillery were used by the Russian military to try to clear the school. Despite anger and discontentment at the government’s handling of the tragedy in general, it did not affect the public’s view of Putin very much at all. Quite the opposite in fact. A poll taken after the Beslan massacre stated that 83% of Russians were still happy with him. The Beslan tragedy did lead to changes in the halls of power of the Russian government though, primarily giving more power to the Russian President. For instance, instead of electing governors in regions like North Ossetia and Chechnya, the President would have the power to appoint governors. In 2007, during his second term, Putin was named Time Magazine’s Person of the Year. The magazine called the final year of his second term “his most successful yet,” and the cover photo for the issue, a portrait of Putin, won the photographer the World Press Photo Award. During the shoot, the two discussed their mutual admiration for the Beatles… This connection helped Putin become more comfortable, and gave the photographer the chance to get his award-winning shot of the intimidating world leader. Presidential terms in Russia had been extended to six years, but this change did not benefit Putin. He was still beholden to the previous Constitutional rules. So how did he get to stay in power? The man who was elected Russia’s next President, Dmitri Medvedev was a protege of Putin’s, and had benefitted from Putin’s rise to power. Neither he nor Putin wanted Putin to be pushed off the international stage, and so Medvedev named Putin as Russia’s Prime Minister – a position he had previously held under Boris Yeltsin. After thirteen years in leadership, Putin would remain at the highest levels of Russia’s government. He and his supporters were able to keep him in power, and stay in line with the law, although perhaps not in line with its exact intent. During his third term as Prime Minister from 2008-2012, Putin focused on dealing with the economic crisis that swept the world, as well as Russia’s population problems. Russia’s population was falling by one million people a year – a devastating number for a country whose population is only 150 million. In 2010, the trend reversed and Russia’s population began to grow. The reversal is in part credited to Putin’s economic reforms – when people have more money, it is easier to support a larger family. One of Putin’s economic reforms included joining the World Trade Organization in 2012. Negotiations for Russia to join the WTO lasted nearly two decades (as they had started after the fall of the Soviet Union.) Russia was granted entry into the WTO after negotiations reached a point which granted Russia permission to phase in the opening of markets, while it aligned with other WTO trading requirements. 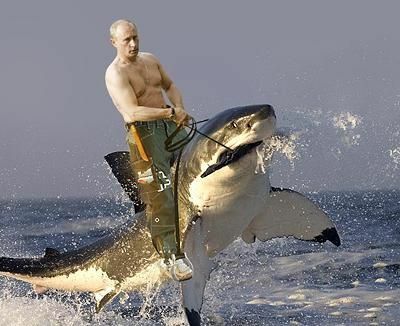 When he’s not hanging out with wild animals, Putin makes time for other adventurous and athletic activities. He dives in the Black Sea, explores shipwrecks, plays hockey, rides snowmobiles and motorcycles, and has driven a Formula One race car. Once, during a visit to a Russian youth camp he even challenged attendees to arm wrestle with him! Then, not content with arm wrestling as a show of strength, he tried to bend a frying pan with his bare hands. Naturally, photographers caught all of these shows of strength and the photos have been distributed and viewed around the world. 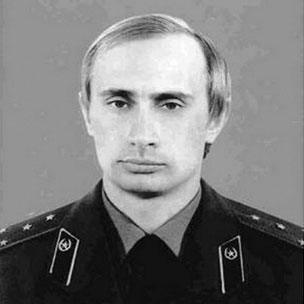 From his days at school cultivating an athletic reputation, to his time as President and Prime Minister, Putin has made it known that he is a man to be reckoned with. During his most recent term as President, with two years of a term yet to go, Putin has found himself centered on the world stage. Russia has been involved in the Syrian Civil War, supporting the government of Bashar Al-Assad. In early July of 2017, Vladimir Putin and Donald Trump announced a ceasefire in southwestern Syria, and weeks later Russia announced that it had signed a deal with Syria allowing Russia to keep its airbase in the country for at least fifty more years.